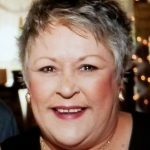 Pamela Kay Yother passed away Saturday morning, November 24, 2018 in Haltom City, Texas. Service: 2:00 p.m., Tuesday, November 27, 2018 at Biggers Funeral Home Chapel. Visitation: 6 to 8 p.m. Monday, November 26, 2018 at the funeral home. Burial: Greenwood Memorial Park, 3100 White Settlement Road, Fort Worth, Texas. Pam was born in Denver, Colorado on May 28, 1948, a daughter to Francis and Harold Tolbert. She married Steve Yother on December 4, 1972. She graduated from high school at North High in Denver, Colorado in 1966. She studied at Excelsior College and retired an OBGYN registered nurse. While she was a flight attendant prior to becoming a nurse, Pam loved road trips and amongst her favorites were Carmel By the Sea and the Colorado Rocky Mountains. Pam was highly skilled in arts and crafts from high school mums to silk and dried flowers, craft woodwork, painting, mixed media art and mosaic tiling. Pam created many beautiful pieces and artwork for her daughters, grandchildren, friends and craft fairs. She was most passionate about spending time with her family, attending as many of their extracurricular activities as she could. Pam loved her glitter and gold and you would seldom catch her without it. She was preceded in death by her mother Francis Tolbert, her father Harold Tolbert, her stepmother Mary Tolbert, her sister Paige Lindsay and her nephew William Kirkland. 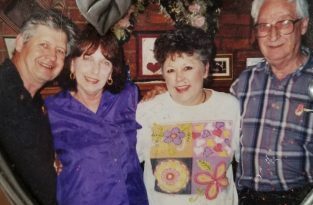 Survivors: Pam is survived by her husband, Steve Yother; daughter, Corrie Nicole Yother-Medina; her daughter, Brooke Marie Martinez; her grandchildren, Trent Martinez, Cambria Martinez, Carlie Kantor, Matthew Martinez, Alex Martinez and Kaia Kantor; her brother, Kirk Tolbert; her son-in-law, Ray Martinez; and daughter-in-law, Sukie Medina; her sisters-in-law, Billie Jean Yother and Amy Yother; her sister-in-law, Linda Tolbert; her nieces, Shelley Beauchemin and Amy Nazarenus; her nephews, Ian Tolbert, Brody Yother and Cord Yother. Praying for The Yother family. Pam was a wonderful lady. She will be missed . Pam was a loving and caring lady with a big heart. She always made you feel welcomed and love. She will be greatly missed. Much luv to you Steve,Corrie and Brooke you all we be in our prayers and thoughts during the difficult time.